1. Your email header will look like as falsified if you use an ESP to send the emails but type your own emails address into the “From” field rather than using a “From” address originating from the third party’s email server. Here is how the message header is formed if you send the emails with our email newsletter software EasyMail7. 2. If you have a “forward-to-a-friend” feature on your site or email messages, and the email address from which the message is forwarded is used as the “From” address, this would be a case of a falsified header. To help you design a HTML email, fill in the form below the article and get a free “Coding HTML Email” report via email. In this report you will find best HTML email coding practices for different email applications. Plus, you can download free premium HTML email templates and use them to create your email newsletters. It’s a great idea prior to sending the email to your list, run the email copy through a spam filter with a checker tool like GlockApps. The test will show you what elements in your email can generate negative points. Ideally, you should respect each individual ISP’s requirements. Some ISPs do allow you send all your 100,000 emails at once; others will limit the quantity of emails you can send at a time or per hour/day. 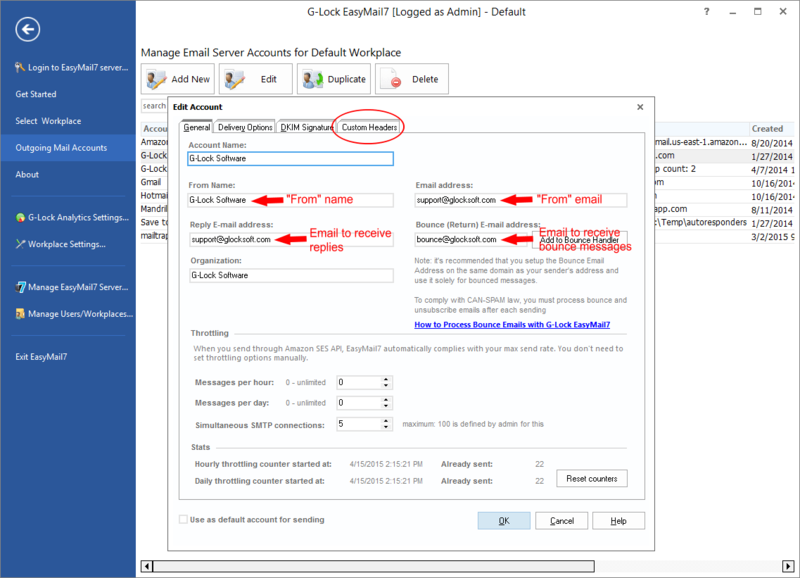 In EasyMail7 you can send the email throttling per hour and/or per day according to your ISP restrictions. . Some really good tips here – I find that getting the subject is so key to my email marketing campaigns. They say that ‘the first bite is with the eye’ when it comes to food and it’s the same with email. we all know a spam email straight away so it really pays to put some thought into your subject header. make it personal, warm or funny. If you’ve spent that long getting the content of the mail just right you should put a similar amount of time in making sure that people read it!